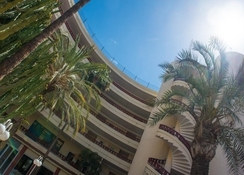 Rondo Aparthotel is conveniently situated in Gran Canaria, in the centre of Playa del Ingles in the south of the island. The 3-star family-friendly hotel, which has an All-Inclusive option, welcomes couples and families with a choice of over 100 guestrooms and apartments across five floors. The aparthotel is all about providing a value for money holiday, with a good restaurant, social bars, outdoor pool and sun terraces, and an organised animation programme for adults and kid's separately complement the onsite sports activities available. 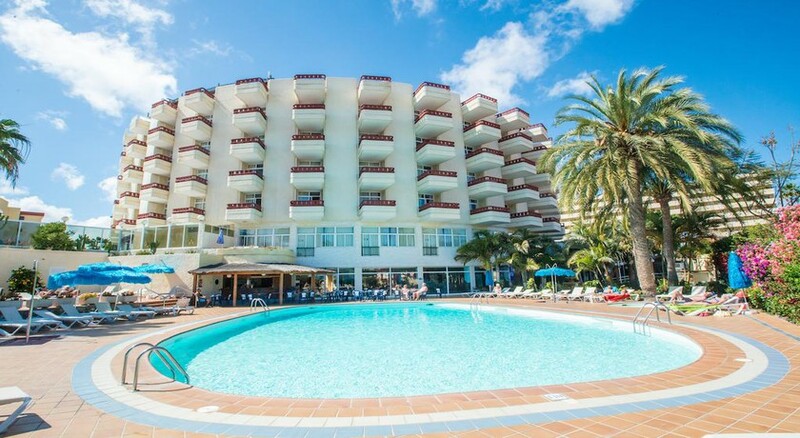 With the beach nearby, and three lively shopping and entertainment centres within walking distance, the Rondo Aparthotel is a great choice for an affordable holiday. 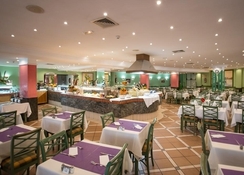 Aparthotel Rondo is 30km from the Gran Canaria Airport. 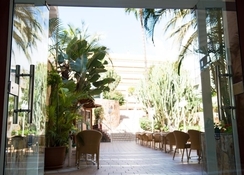 The hotel is situated between the main streets Avenida de Tirajana and Avenida de Gran Canaria, and the main shopping centres of “Yumbo”, “Kasbah” and “Cita” are only a few minutes’ walk. Guestrooms at the Rondo Aparthotel have a bright and modern Mediterranean decor, well-defined space with comfortable furniture and amenities for your well-being. Features include a furnished balcony, private bathroom with hair dryer, kitchenette facilities, TV, telephone, and safe box. The double rooms have combined living/sleeping space with two beds and a sofa bed. Suites have a separate bedroom with two beds, and sofa beds for additional guests. 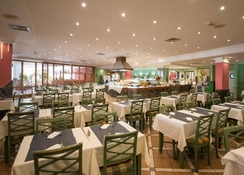 Aparthotel Rondo’s main restaurant serves buffet-style, rooftop terrace, lounge area with satellite TV, Pub Rondo & Disco, pool bar, and animation activities five times a week. 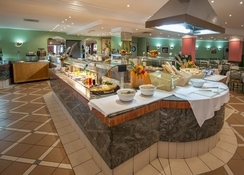 The best of local and international cuisines are made by expert chefs from the freshest of ingredients. Aparthotel Rondo has an outdoor swimming pool, sun terrace with sun beds, sauna (charge), therapy pool with massage treatments (charge); and access to beach and external water sports/fun activities. There is also a gardens, free table tennis and Boccia, and archery, tennis, mini golf, table football at a local charge; gymnastics for all ages, and senior's fitness activities. The kids will love the wide array of activities like Kid's Summer Mini Club (4-14 years) with supervision: six times a week for three different age groups, includes water & adventure playground, children's cinema, mini disco, sport competitions, shows & music, reading and animation activities five times a week. They can also order from the menu at an exclusive kid's restaurant. Wi-Fi is available in all areas and charges are applicable. We thoroughly enjoyed our stay. The hotel staff were polite and very happy to help. Food was amazing with lots of variety. We would definitely visit again.